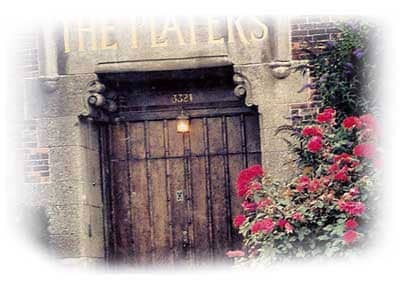 Welcome to the Historic Players Playhouse, home of The Players, founded in 1911. The Players is an organization of gentlemen dedicated to the preservation of amateur theater. Our members come from diverse backgrounds and locations but share a common interest in amateur theater. We welcome as members all gentlemen who wish to share in the camaraderie of The Players. Cultural events, wedding, corporate events, and private theatre are just some of the events being held at the Players Playhouse. Contact us today to learn how you can rent our historic venue for your next event/private party! The Players has always been a gentlemen’s club, in the best sense of that word. For we are not necessarily gentlemen by birth, business success or social position. Rather, we are gentlemen by a spirit that crosses and bridges a wide variety of backgrounds and foregrounds. It is how we behave toward each other, and toward the traditions of our club, that furnish all the credentials a Player needs.